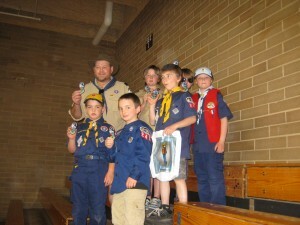 Members of Scout Pack 246 were in attendance Saturday at the Scout Fair in Boise. Scouts were able to participate in several activities including a Pinewood Derby. Congrats to Carson Crawford for winning the Bear division, and to Wyatt Marolf for a 3rd place in the Wolf Division. Other activites included wood carving, a model train display, BLM Fire Engine and Smokejumper display, Deerflat Wildlife Refuge display and a Robotics demonstration.